This is the band that Lazy Lester wanted to take back to the States with him and the band that the blues press widely recognise as one of the strongest live acts that the genre can boast in the UK. 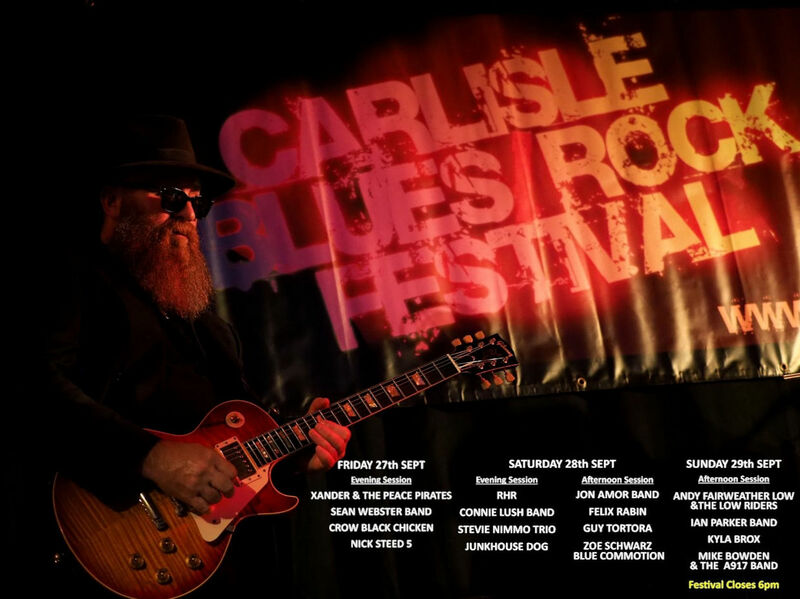 The Blues is where it all started for The Stumble, with founding member Colin Black and drummer/songwriter Boyd Tonner both major figures in the new wave blues boom coming out of Glasgow in the 80’s and 90’s. In recent times the band has learned to embrace a wider spectrum of influences and trust in their musical instincts in order to craft original songs that make both the album experience and the live experience a much more rich and satisfying journey. Simon, Ant, Cam, Paul, Boyd and Colin are all consummate performers who can turn it on, but also let the music breathe. Unique in their creativity, masterful in their interpretation and solid in their foundations, The Stumble now transcend the blues and look to build on the critical acclaim that has been heaped on their previous album works and live shows by taking the songs from The Other Side on the road and revisiting and reinventing some of their classic renditions of covers by artists such as Howling Wolf, B.B. King, Ike Turner and Peter Green’s Fleetwood Mac..
All great bands have a particular mix of personalities and talents that deliver a sound and an edge to die for and The Stumble can mix it with the best of them. Expect raw power, emotion, joyous melodies, heartbreaking blues and a guaranteed good time with a band on the crest of a wave. Experience this band live now and be part of it. Amazing guitarist and harmonica player, clearly inspired by all of the greats from BB King and Peter Green all the way through to Colin James. He originally played with the Hideaway Blues Band a Glasgow based band that didn’t stay around for long yet still provided some great music for anyone lucky enough to attend one of their performances. Stevie and Alan Nimmo were two such people and became big fans of Colin’s playing in their formative days. After leaving Glasgow and heading South in the mid 90s Colin along with Boyd formed the band. Impeccable rhythm and all round creative genius. Boyd was one of the original members that formed the band with Colin in the late 1990s. He was previously an original member of The Blackwater Blues Band band with Alan and Stevie Nimmo. As well as drums he is also a fine guitar player and an accomplished songwriter having penned most of the bands releases. As well as having incredible taste, virtuosity and versatility as a guitarist, Ant is also a great singer and has a wealth of experience fronting bands. He has been a long time collaborator with bass player Cameron Sweetnam and played a major part in several bands including Lancashire based blues trio Slingshot, up-tempo blues and swing band The Upsetters and rhythm and blues band Lights Out.